Has Anyone Noticed How Expensive It Is To Live In Isaan These Days? So you stay in Thailand but don´t live in Thailand. That´s a way to deal with it. a more precise statement would be "i live in my home which, for specific reasons, is located in Thailand." He is here for the Temples. Wife buys for her pizza restaurant at Macro,10-20kg of cheese, milk, bags of meat and seafood, two huge trolleys, lucky to go over 12 000 baht unless she buys hardware. I'm sorry but I just cannot understand how a grocery bill (according to the OP) came to that amount. I only shop at Makro every 3 months or longer and only once did my bill go over 10k and that was when I bought a bicycle and a microwave. Well, prices definitely have gone up a lot during the past 2 years. You don't realize it as goes up a little now and a little then, and they reduce the size of the product to camouflage the price rise, but you would be surprised. An example. The other day I threw away a bottle of French's spicy brown mustard, as it was expired long time already. It must have been about 2 years old and had a price tag from Foodland on it that said 81.25 Baht. Last Friday the price for that same mustard was 128 Baht at Makro. In my calculation that is 50% in 2 years and I'm sure that isn't the only product that has gone up that much over the same period of time. The reduced size is what a lot of people miss...but not you (or me). 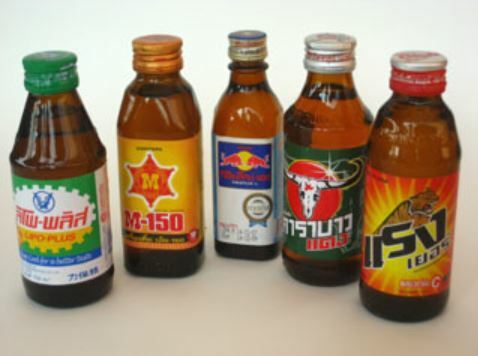 I figure if the govt keeps raising taxes on alcoholic drinks, before long the manufacturers will be selling beer at the current large bottle price but in those little energy drink sized bottles you see Thai guys always drinking. A great way to keep inflation down. I agree for fancy imports here is very expensive, but that's because of the tax structure. For living to sustain life in basic comfort, it's cheaper here (if you're on a UK f income). Nikon D800e and a whole bunch of Nikkor lenses. I can't get a D800E for less than £2349 in the UK. Found for 88,900 Baht here. and let me add, if after 2 minutes web search i can get it for 99,000 in europe, I AM pretty sure if i go see a specialized dealer in UK i can get it for cheaper than in Thailand. With no import duties, the US is a cheap place to buy consumer goods of all types including autos. With all of the farmland, big lakes and ocean shoreline, food including seafood and meat is cheap. In rural US, housing is cheap. I think that's a reason we don't see more Americans in Thailand. That and the distance, of course. 17K+ is impossible if you ask me. What did the OP buy? you guys really think Thailand is expensive? I think it is very very cheap.